With just over a month left, we're excited to announce that this year's User Group Conference is going to be our biggest yet! Don't miss out on this opportunity to head over to Disney with both your own and the RL family! Haven't registered yet? 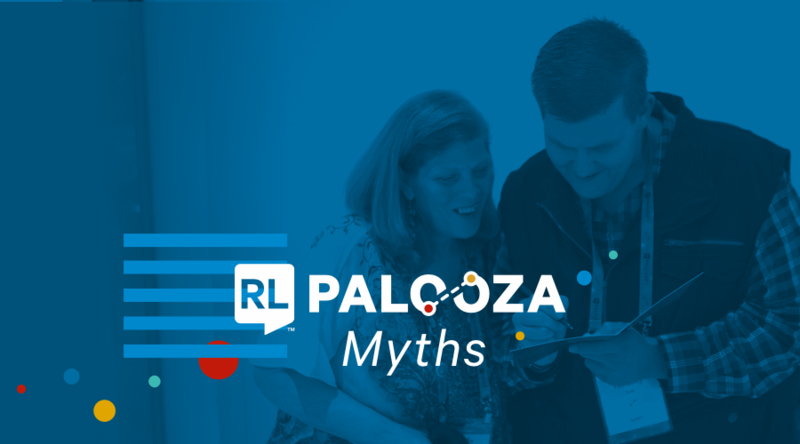 Let's bust the myths about RL Palooza that might have you second guessing! MYTH #1: There is no budget allocated for me to go to RL Palooza, so I won't be able to go. We understand that conferences can be a significant investment. That’s why you can redeem your RL Rewards points to help cover the costs associated with RL Palooza. Earn points by participating on Community in RL HUB and helping your peers, partnering with us to create content, hosting a webinar, or sharing testimonials. The more you participate, the more points your organization earns! With 25,000 points you are eligible for 1 free registration pass to RL Palooza. With 60,000 points you can redeem for the All-Inclusive package, which includes 1 free registration fee to RL Palooza, plus flight and accommodation! MYTH #2: I've been to RL Palooza before, it doesn't make sense for me to go again. Each year, we evolve our content to reflect the latest news with RL and in the healthcare industry. This is your opportunity to enhance your knowledge of RL6 - this year, we have new announcements, regarding product releases, programs, and our online community! Attend RL Palooza to re-connect, and meet more peers from your industry that you can learn from and share with. We also change locations each year, 2018 is sure to be our most magical RL Palooza yet - we are, after all, heading to Disney! Attend again for new experiences and magical moments! MYTH #3: I've already been to RL Connections, RL Palooza is no different. RL Palooza takes everything that’s great about RL Connections and multiplies it tenfold! Last year, we had close to 80 sessions (on everything from industry trends to hands-on learning with the RL training team). You’ll also experience inspiring keynotes, valuable networking opportunities and the best experiences our host city has to offer! MYTH #4: I can just download the presentations online instead of attending in person, so it doesn't make sense for me to go. There is something magical about being present with your peers. By attending in person, you get to experience the learning first hand. You can communicate with the presenter directly, and presentations and questions stay within context. At RL Palooza, everything from hands-on-training, educational sessions, to evening events, you get to experience the best RL has to offer. Finally, to receive CE/PXE credits for a session, you must attend in person and complete the survey. MYTH #5: I'm not a System Administrator, it doesn't make sense for me to attend. RL Palooza offers content for more than just System Administrators. RL Palooza attendees in the past have ranged from File Managers to Project Managers, Directors and more. As such the content presented at RL Palooza caters to more than just System Admins! In addition to networking with other users and RL staff, you will have the opportunity to hear from peers and RL team members about innovative uses of the system, staff engagement, strategies to achieve organizational goals with the system, system training and more. MYTH #6: I don't think I'll be able to leave work behind for a week to attend. The goal of a lot of the content at RL Palooza is to help you optimize the use of your RL software to help make your job easier! We have a justification letter available on the RL Palooza website to help you prove value to your organization. 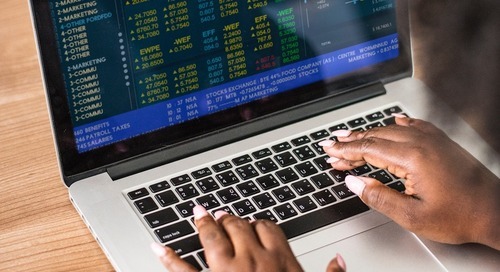 Nonetheless, there will be downtime as well as breaks scheduled for you to step away and complete your projects and all other work. MYTH #7: I won't be able to bring my spouse or family to RL Palooza. That's a myth! You can register a guest, and make RL Palooza a family vacation! Your guests can network and participate in all the social events each night. Guest Registration is now open! MYTH #8: I don't know if there's content relevant for me and the modules I use. Each year we take all the feedback that RL Palooza attendees provide very seriously! We do our very best to ensure that there is at least one session for every module. You can filter by topics to find sessions that appeal to you directly on our website. You’ll also have the opportunity to chat with other industry peers, who use the same module as you. MYTH #9: I won't have time for networking. We’ve evolved RL Palooza in the last few years to include more downtime and time for networking during the day. Our evening events are also a great time to connect with your peers and relax - in the past we’ve shut down the streets of New Orleans for a parade, invited attendees to a night with the Toronto Symphony Orchestra at the Royal Ontario Museum, and created a night to remember at the San Diego air force base, Top Gun-style! Want to see it to believe it? Check out tour videos from RL Palooza 2017 and RL Palooza 2016. MYTH #10: I hear that sessions fill up quickly, I fear I won't get into the ones I want. 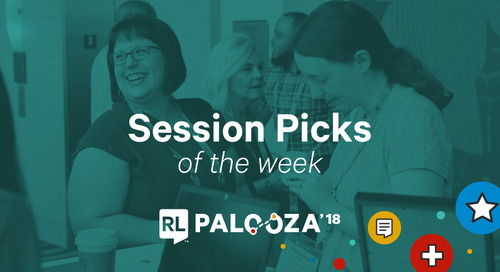 We do our very best to make sure you have the most wonderful RL Palooza experience—and in the past, most people have been able to attend all the sessions they wanted. We try to repeat sessions where possible to ensure that everyone has a chance to get their ideal experience, but there is a waitlist. We do suggest that you register for your sessions early, just in case! Register for sessions here. BONUS MYTH: I don't know much about RL Palooza - it seems like just another healthcare conference. RL Palooza isn’t your typical conference! At RL Palooza, you have the opportunity to learn from your peers, be a part of engaging keynotes, network with industry experts and have some fun with your industry peers. RL Palooza also gives you an opportunity to connect with RL-ers and learn about how others are leveraging RL6 in their organization. By the end of the conference you will have the skills you need to make the most of your RL software, have made new connections with your peers, and learned more about what you can look forward to from RL in the future. Join the RL Palooza group on HUB to familiarize yourself with some of the veterans, and what they have to say about their RL Palooza experience! So, what are you waiting for? Register for RL Palooza today!